Featured minor styling changes and mechanical improvements. 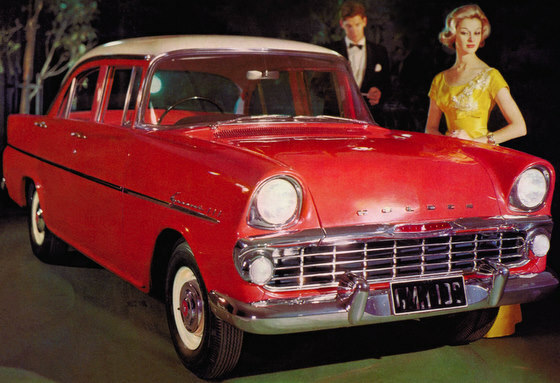 Also introduced Holden’s first automatic transmission (the GM America-sourced three-speed Hydramatic) which was well-suited to the 2.26 litre engine, with performance and economy not far short of manual shift versions. Also featured three speed electric windscreen wipers, replacing the previous vacuum unit. The Hydramatic transmission was available as an option only on the “Special”. The two commercial vehicles, the utility and panel van, remained almost identical to the previous model, the FB. The FB rear quarter panels and tail lights were carried over to the EK commercials. Base price when new: £1,106 ($2,212).